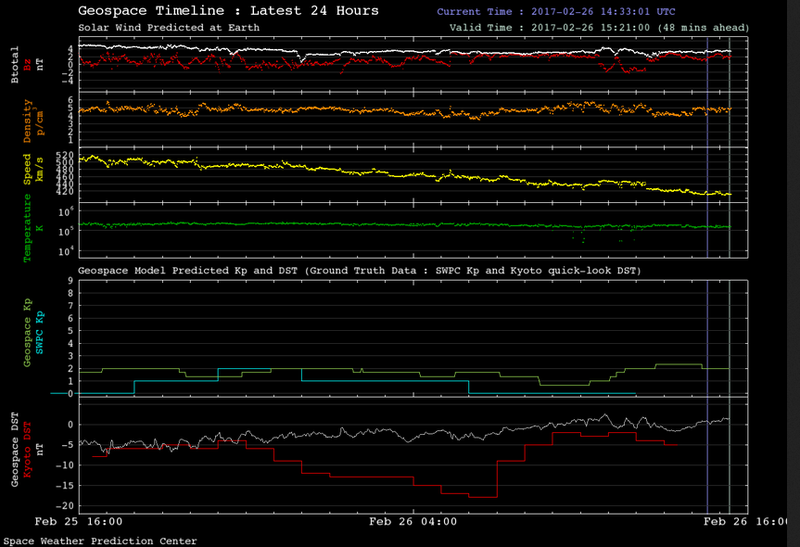 There has been a suggestion that the Magnetic field around the earth also has an effect on the earthquakes on Earth. 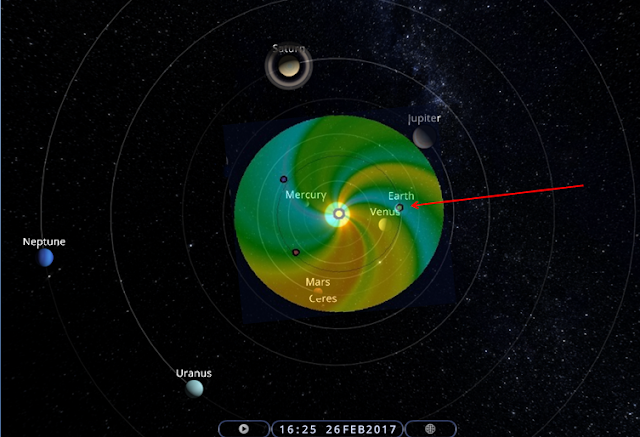 With the Sun at the centre we can see above the solar system and the physics-based prediction model of the heliosphere,to provide 1-4 day advance warning of solar wind structures and Earth-directed coronal mass ejections (CMEs) that cause geomagnetic storms. Solar disturbances have long been known to disrupt communications, wreak havoc with geomagnetic systems, and to pose dangers for satellite operations. 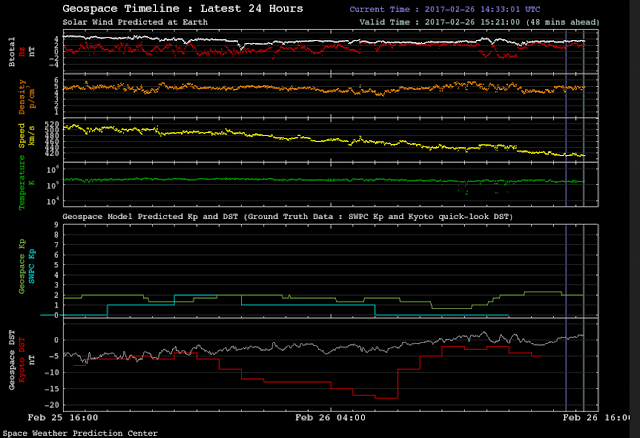 The Earth is in the Sun's negative magnetic field, as can be seen from the plot below (first curve). Venus is in the positive field, as well as Uranus and Mars. Jupiter is in neutral. We can see the Jupiter Mars Uranus opposition alignment, and the fact that they are in opposite magnetic fileds, The earth being in negative, it seems the system is weakened, and as a result we did not have YET a very strong earthquake scene today.